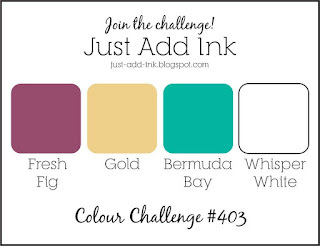 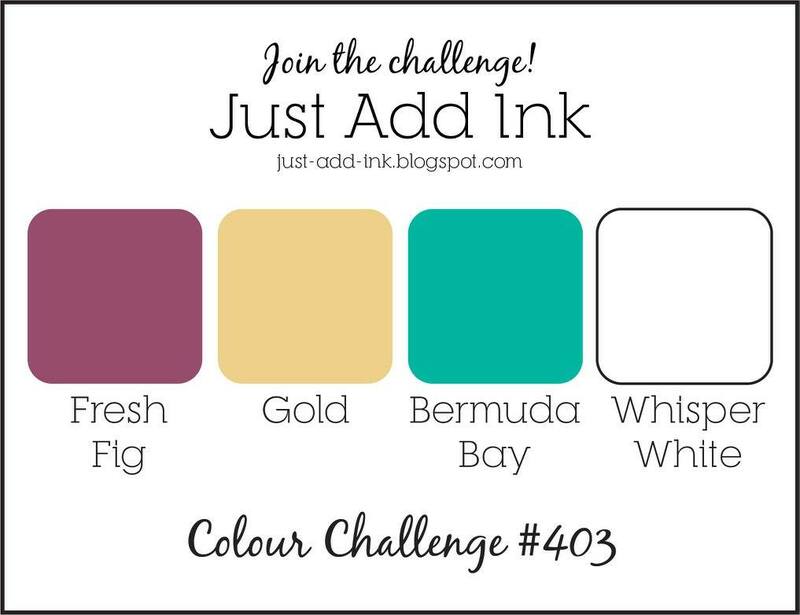 My Sandbox: Just Add Ink #403...Colour! 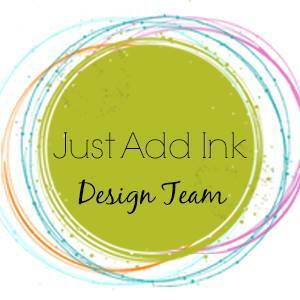 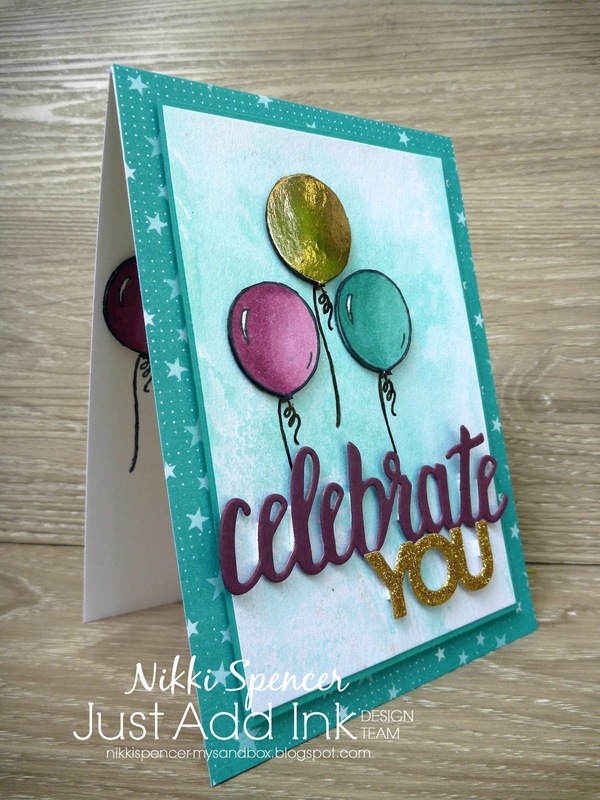 Over at Just Add Ink , Rochelle has given us these great colours to play with, not a combination l'd normally use, but they really look great together. I used some Bermuda Bay ink on an acrylic block, spritzed with water to stamp on a piece of Shimmer card stock for the background panel. The 3 coloured balloons were also stamped on Shimmer card stock using the balloon from "Bird Banter" and coloured with Stampin Blends. 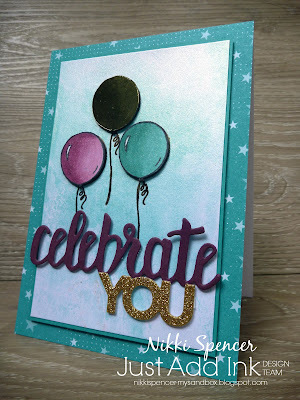 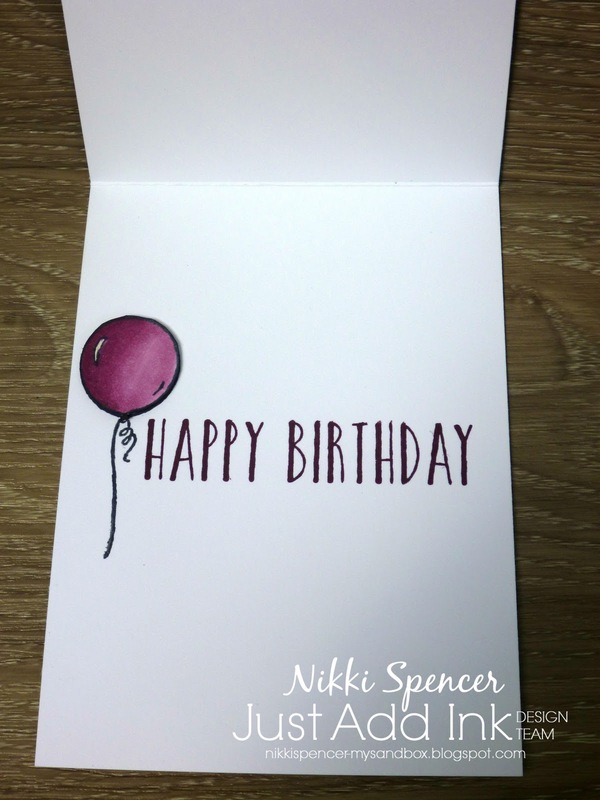 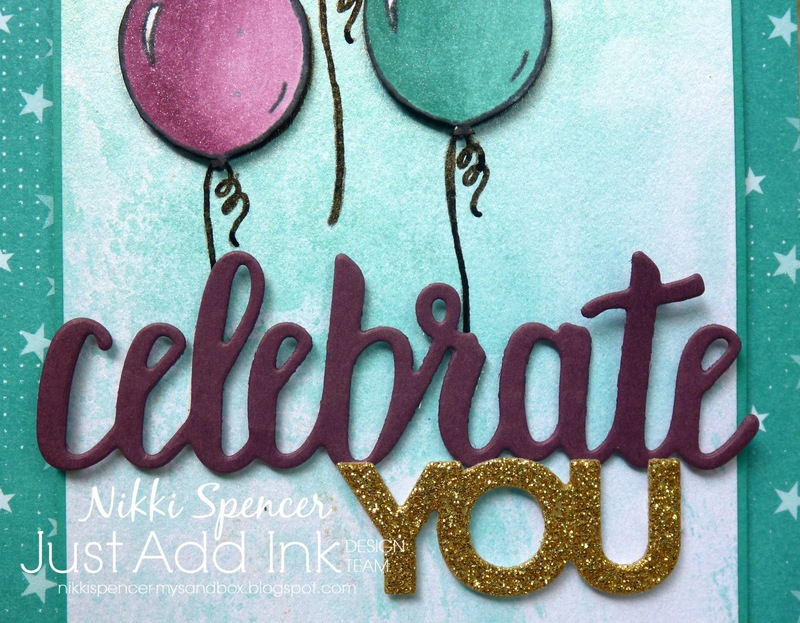 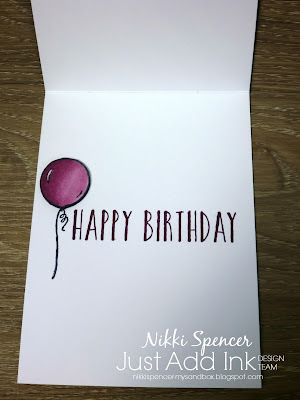 The die cut greeting is from the SAB "Celebrate You" thinlits and the dsp is from another SAB freebie "Bubbles and Fizz" and the inner Happy Birthday is from the "Perennial Birthday" set. 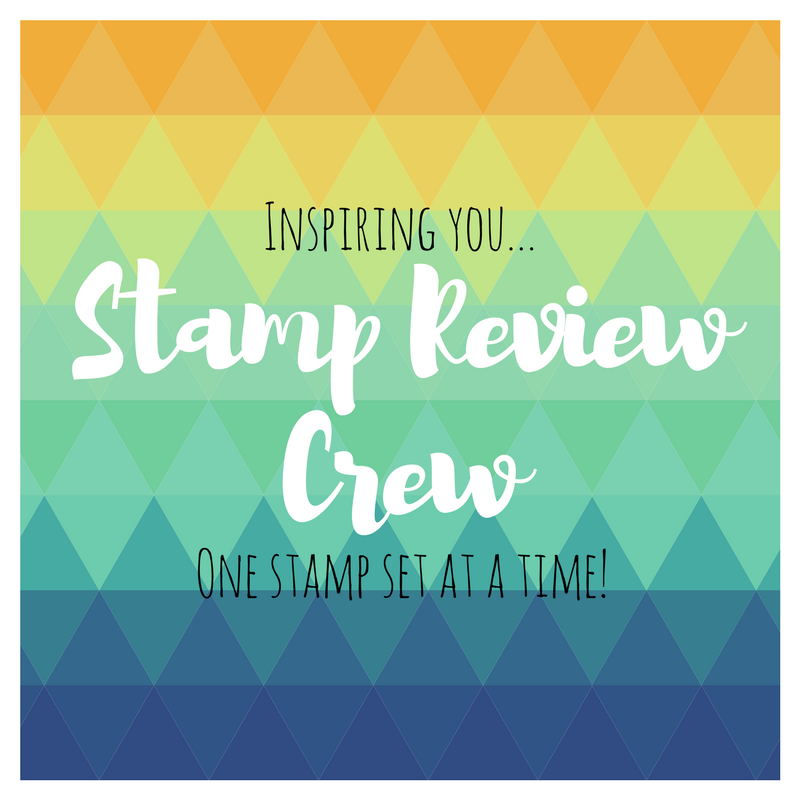 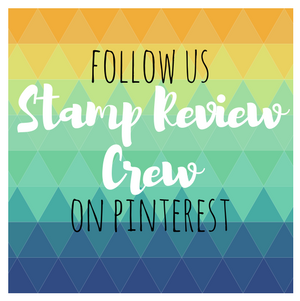 Lots of lovely inspo from the design team over on the challenge blog.